Custom Connectors at Low Volume with Positronic » HHP Associates, Inc. Already have an idea about what type of connector you need for your project? Browse Positronic connectors by category, attribute, application or connector face. Positronic is a global manufacturer of high reliability electronic connectors for use in various applications related to military, space, commercial aerospace, medical, industrial, test, and rail among others. With Positronic, you can depend on rock solid, mission-critical performance. 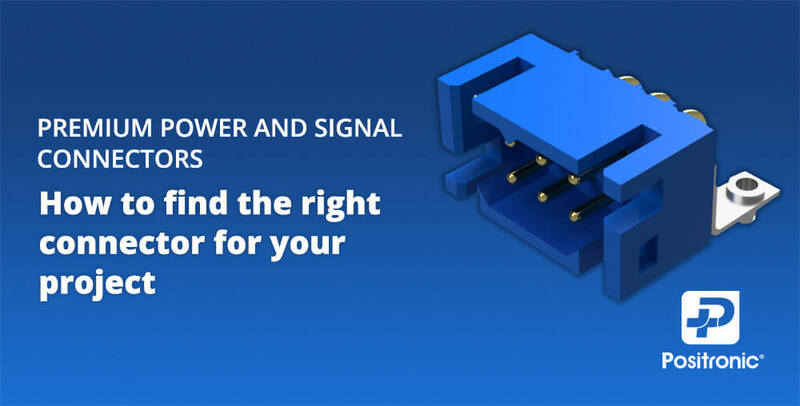 Key products include high power, D-sub, rectangular, modular and circular connectors. Features include options for mixed density, blind mating, optical, waterproof (IP67), hermetic, thermocouple, spaceflight, mil-spec, solder/wire/press-fit terminations and various accessories. Connector types include options for free cable, PCB mount and panel mount.